The existing literature on jihadist terrorism has extensively documented the importance of networks, yet the interpersonal element of the networks and how this links to the social identity dynamics of a mujahid have been scarcely explored. It also is still unclear how specific social contexts such as prison, neighbourhood, and home may play a role in the link between interpersonal networks and social identity dynamics. Drawing insights from the social identity perspective, this article examines the relationships between social context, interpersonal networks, and identity dynamics of a mujahid based on a single case of terrorist recidivism in Indonesia. 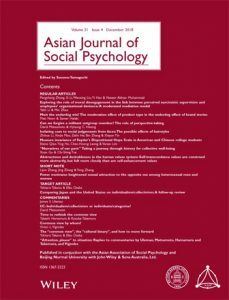 Our analyses showed how transitions across social contexts were related to the subject’s opportunities and constraints for the participation in different interpersonal networks that influenced the process of identity negotiation as a mujahid versus alternative identities of family member and belonging to a neighbourhood. It is argued that analysis of the dynamics of a mujahid’s identity in local social contexts are an important part of assessing risks of their recidivism.